John Kenneth Muir's Reflections on Cult Movies and Classic TV: Reader Top Ten Science Fiction Films: Le0pard13 at It Rains...You Get Wet. Reader Top Ten Science Fiction Films: Le0pard13 at It Rains...You Get Wet. Le0pard13 at the blog It Rains...You Get Wet, is one of my favorite film writers on the net, and a great friend to boot. Last year he compiled a top ten sci-fi films list at his blog, and I want to include his excellent choices in our tally. 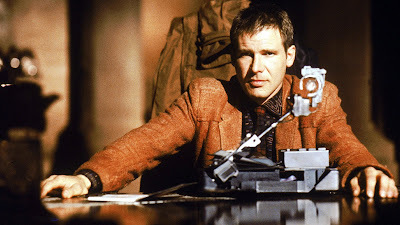 This is (I think...) the first list that has Blade Runner (1982) in the number one slot, and that's a great choice. 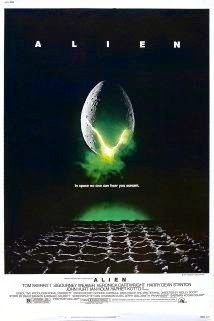 My top twenty would include Alien, Blade Runner and Prometheus -- a veritable Ridley Scott-a-thon. Thank you so kindly with the share, John. Much appreciated. Thank you, my friend, for sharing your excellent list. It's an awesome one! Great minds think alike - BODY SNATCHERS! YES! Now I wish I had included CHILDREN OF MEN. D'oh!